Mustang Gold is a new online slot game with an Old West theme, ideal for anyone who likes watching movies where sagebrush and spurs are common. The game utilises many features of western movies in its graphics, and the music recalls the classic spaghetti western soundtracks of the films of Sergio Leone. If you want to emulate the gunslinging feats of Clint Eastwood as the Man with No Name then this is the slots online game for you! This game deploys five reels, three rows and 25 paylines, and features a Return to Player percentage of 96.53 percent. Letters are the lower value symbols on the reels, while the higher value symbols are images which fit in with the game’s Old West theme. They are a cowgirl, a cowboy, a black mustang horse and a white mustang. The white mustang gives you a 20x multiplier for five of a kind. The game’s wild symbol is the Mustang Gold logo, while the scatter symbol is a bonfire. If you spin in three scatter symbols you will win 1x your total bet. If you spin it in on three consecutive spins the you will pick up eight free spins. The Money Collect feature is a nice aspect of this game. This can be triggered in both the main game and the free spins feature. The horseshoe symbol appears on the first four reels, while the collect symbol occurs only on the fifth reel. If one or more horseshoes appear on the reels, they will carry a cash value. If the collect symbol spins in on the fifth reel at the same time, then the total cash value of all the visible horseshoes is added to you balance. 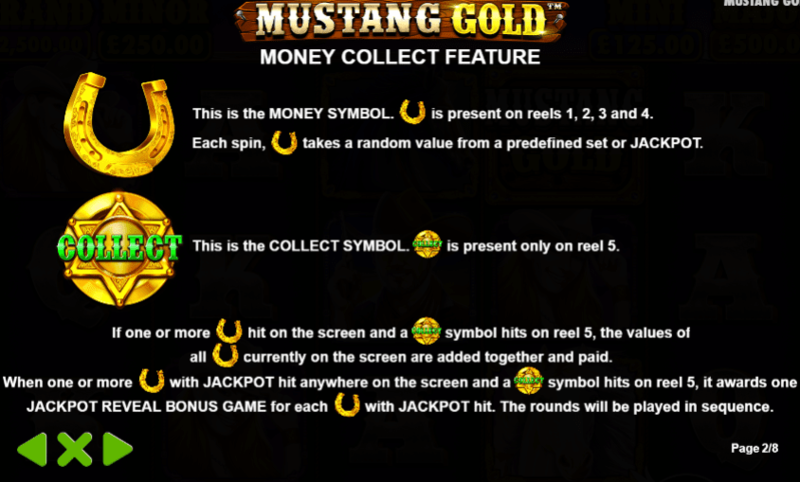 Find slots bonuses UKto play on Mustang Gold here at SBaby. Pragmatic Play is a games developer which has offices in Malta, Gibraltar and the Philippines. The company produces a wide range of gaming products, including scratchcards, bingo and online casino games, as well as slots. There are over 100 games in the Pragmatic Play catalogue, all of which have been developed using HTML5, meaning they can be played on a wide range of devices. With clients in over 80 countries, Pragmatic Play is a truly international operator in the games market. They hold a licence from the UK Gambling Commission, as well as a range of other regulatory bodies in many different countries across the world. The quality of their games has seen them win multiple awards. If you like to play free casino slot games online no download no registration and you also enjoy western movies, this is the perfect game for you. The graphics and music make it a really fun evocation of classic western films, and there is plenty of action to keep you coming back for more. The bonus features of the game offer plenty of fun, as well as the chance to make a decent profit. 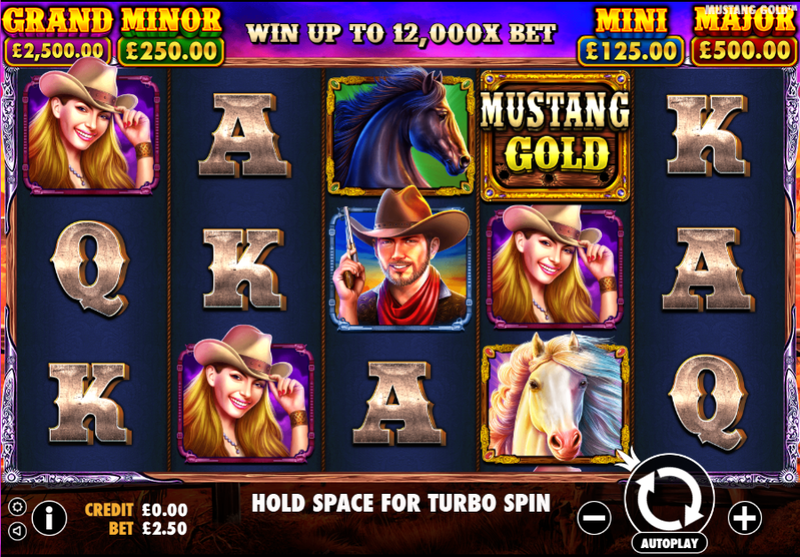 Look out for Mustang Gold in your favourite online UK casino!